California Scooter Company, recently in the headlines here on Common Tread with the announcement of its new SG250 Café Racer, is now planning on disrupting the electric segment with the introduction of the new battery-powered City Slicker. This little Grom look-alike is being dubbed the City Slicker, according to Joe Berk, who is a business development consultant for CSC. The new bike will be sold directly to customers via the company’s website. This has become standard practice for CSC, which has decided to abandon the dealership-sales model. The bike will initially be priced at $1,995 with a $55 doc fee and $345 assembly/transport fee, bringing the total to $2,395. CSC's new City Slicker aims to be the most affordable electric motorcycle in the United States. Photo by Joe Berk. While electric bikes are limited to shorter rides by their battery capacity, I would argue it’s their price tag that is most prohibitive to the average rider. For city commuting, you could consider a GenZe 2.0s Electric Scooter for $3,600 (which is probably the electric bike closest in capability to the City Slicker without any of the looks) but a gasoline-powered Honda PCX 150 (which averages nearly 100 mpg) can be had for the same price with double the performance. Riders could also consider something like the Zero FX for $8,495, but at that point you could get the PCX 150 and have almost $5,000 left over for fuel. In the off-road segment, even the most expensive gasoline dirt bike is still thousands of dollars cheaper than their electric counterparts. 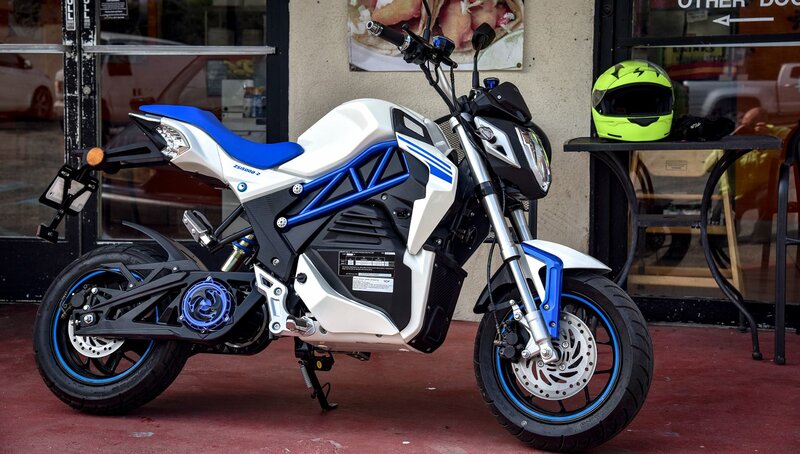 Thus, the electric motorcycle craze is, at the moment, reserved for early adopters and enthusiasts that are willing to pay the higher price tag. But CSC intends to change that. Always dapper, Joe Berk gets to test out the new bike in China. Photo by Joe Berk. And now, less than six months later, CSC will be importing them for the U.S. market. Like the other bikes in CSC’s lineup, the City Slicker is manufactured by Zongshen, one of the larger manufacturers of two-wheeled products in China. To give you an idea of their overall global size, Zongshen claimed a output of more than four million units last year, according to their website, whereas Honda sold over 17 million two-wheeled units. In the United States, these bikes are rebadged under the CSC family. The power mode switch is located where a kill switch would normally be found on a petrol-powered motorcycle. Photo by Joe Berk. The City Slicker has two operating modes, Power mode features a top speed of around 45 mph and Eco mode maxes out around 35 mph but gets better range. According to initial claims from Zongshen, riders can expect to travel 37 miles at 37 mph in Power mode and 62 miles at 20 mph in Eco mode. But those numbers might be a bit optimistic, Berk admits. The digital battery gauge on the dash replaces the fuel indicator found on other motorcycles. Photo by Joe Berk. With a charge time of six to eight hours and a limited range, the City Slicker isn’t aiming to replace full-sized gasoline-powered motorcycles. 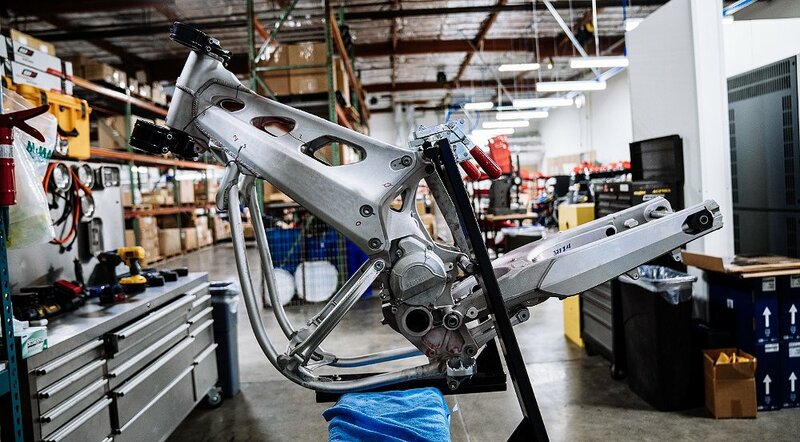 Hell, it won’t even be on the same playing field as some of the more performance-driven, larger electric motorcycles with shorter charge times and longer run times. Rather, it serves to complement those machines and it is sure to find an appeal all its own. The range is enough for many urban commuters, which is the demographic CSC is targeting. And the City Slicker also wins on price. Ideal for commuting, built-in, lockable storage replaces the normal fuel tank. Photo by Joe Berk. As the current generation of motorcyclists comes to age, they appear to be increasingly environmentally conscious. I can see a huge appeal for riders looking for affordable city transportation that is also friendly to the environment and low on required maintenance. CSC is checking a lot of boxes with this little guy. In past articles, I have questioned the potential reliability and quality of such “affordable” bikes. And while we have yet to test any of them directly, we’ve had CSC owners chime in with high praise for the company’s little motorcycles. But those are of the gasoline-powered variety. We’ll have to see whether or not these new electric City Slickers will be up to the regular abuse of the daily commuter. That being said, we shouldn’t have to wait long. 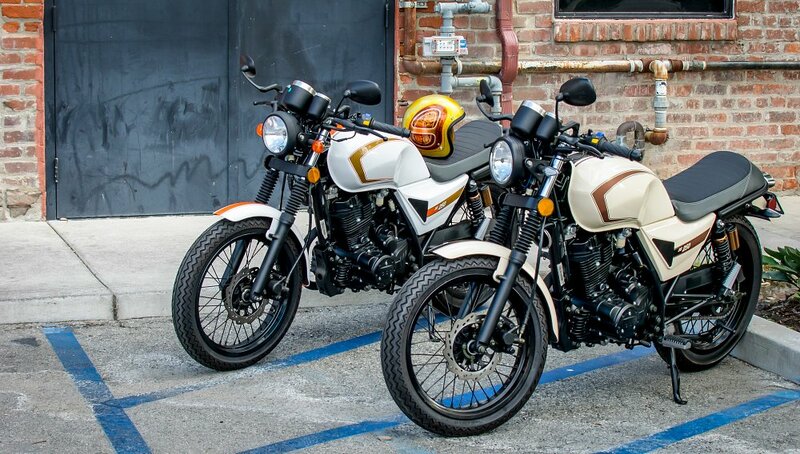 CSC has secured EPA and CARB approval and expects to start delivering these bikes later this year. Expect to see an official announcement on CSC’s website later this week.